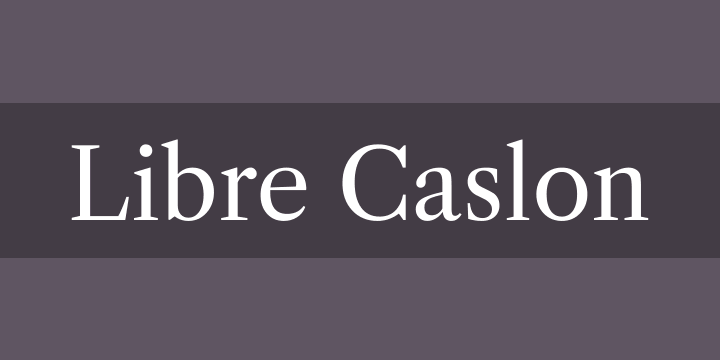 The Libre Caslon fonts are unique Caslons. They are different to all other Caslons out there. When we were faced with the challenge of making a new Caslon, we asked ourselves: How can we make them different to all other revivals and bring something new to the table? We realized that most Caslon revivals were based on the 18th-century type and that there was a whole genre of Caslons that has been so far ignored: The alluring hand-lettered American Caslons of the 1960s. This was a captivating subject to investigate. Caslon was the very first alphabet that lettering artists learned to draw, so they all were very familiar with it. Quoting Larry Ottino: “If the beginner learns the basic principals of form and proportion contained in the Caslon alphabet he will find that he has the base for learning of any alphabet”. Our wonder led us to find countless examples of beautifully crafted handlettered Caslon renderings, and many lettering tutorial books. Among those many books, there were two that outshine the rest: One is “Lettering for Advertising” by Mortimer Leach, and the other one is “How to Render Roman Letter Forms” by Tommy Thompson. Both of these books are excellent, highly recommended for all those who want to learn lettering. Photo-Lettering had Saul Haput’s Casoni and Headliners International had Hawthorne in a full range of styles.